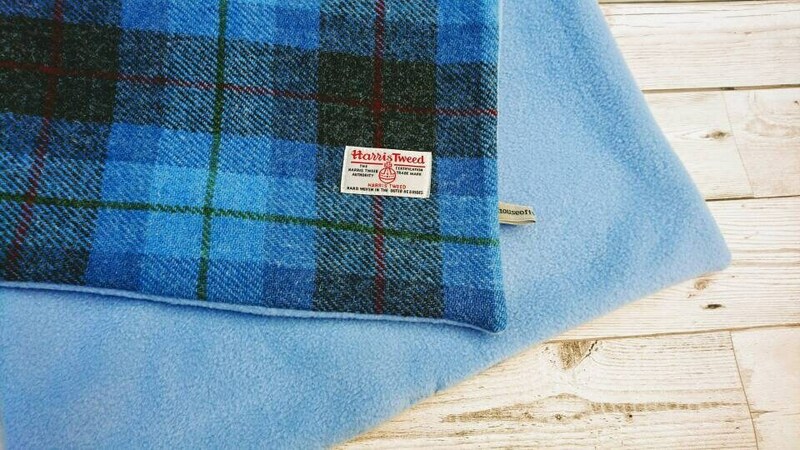 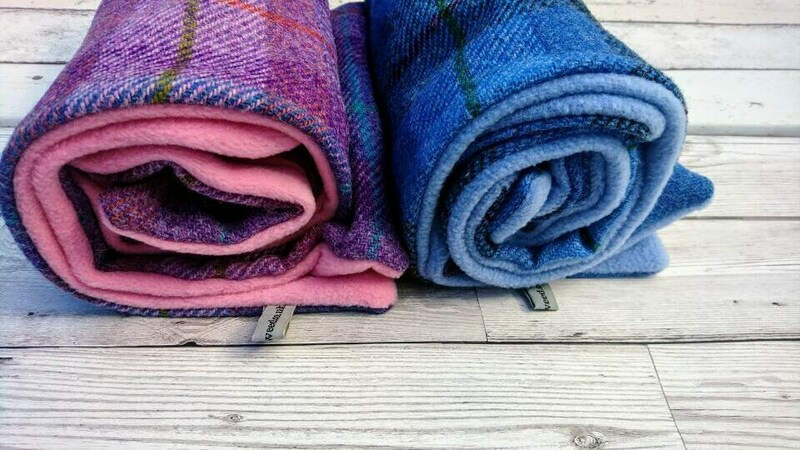 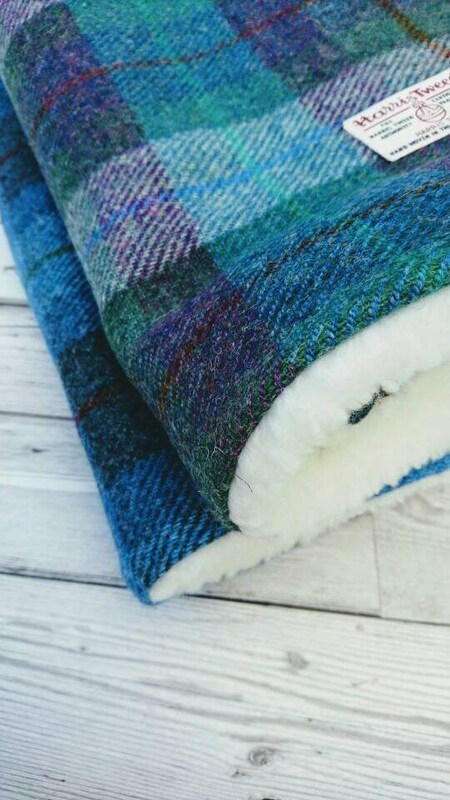 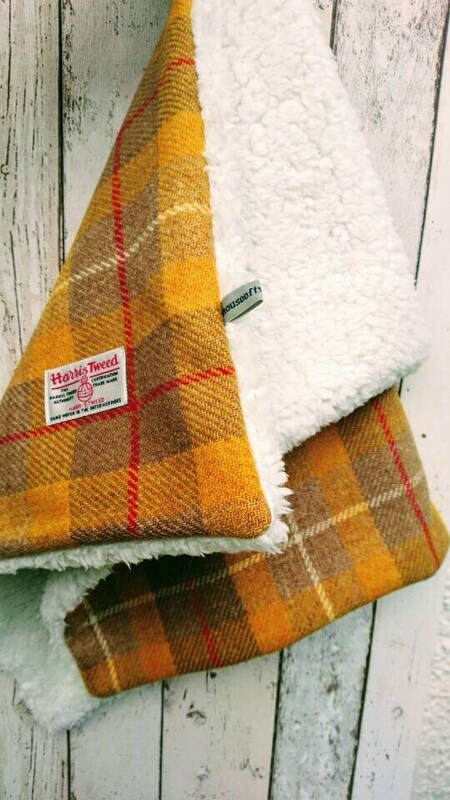 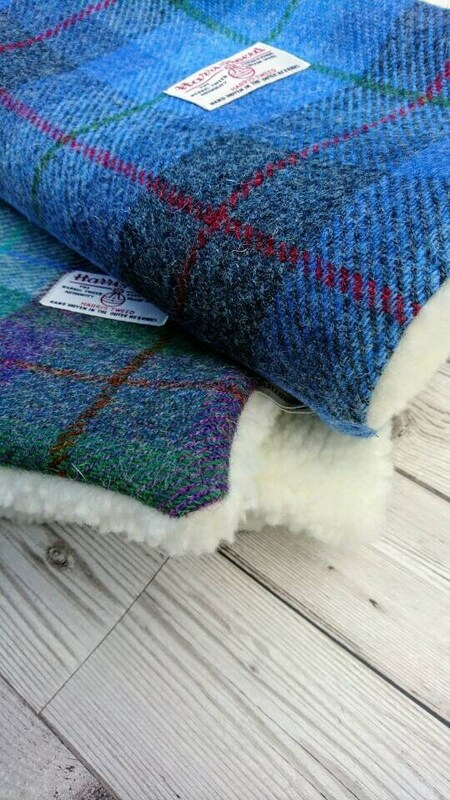 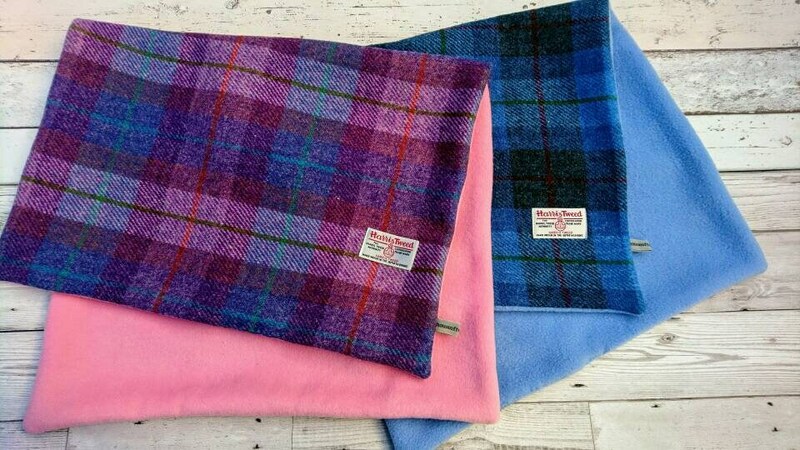 Hand crafted Harris Tweed baby blanket perfect for a pram or a cot. 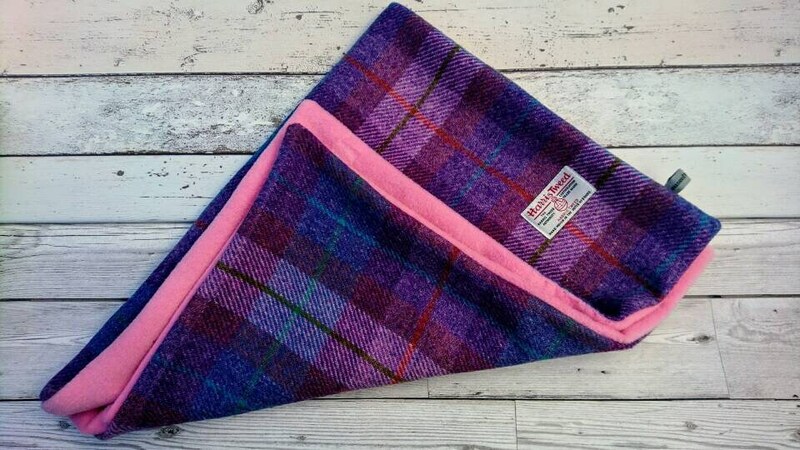 Measures approximately 75cm by 50cm. 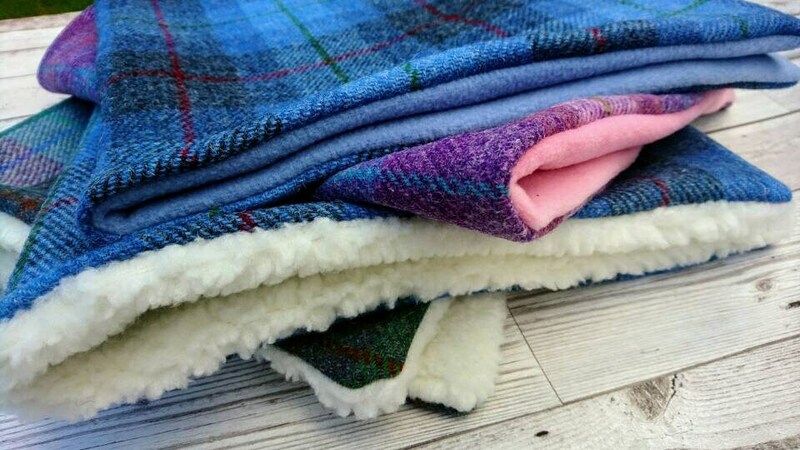 Fully lined with super soft fleece like fabric. 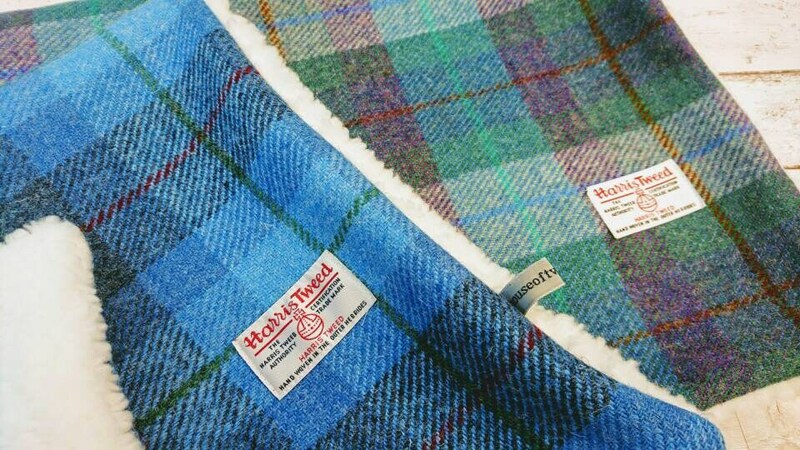 Harris Tweed Orb label has been sewn on the front of the blanket.